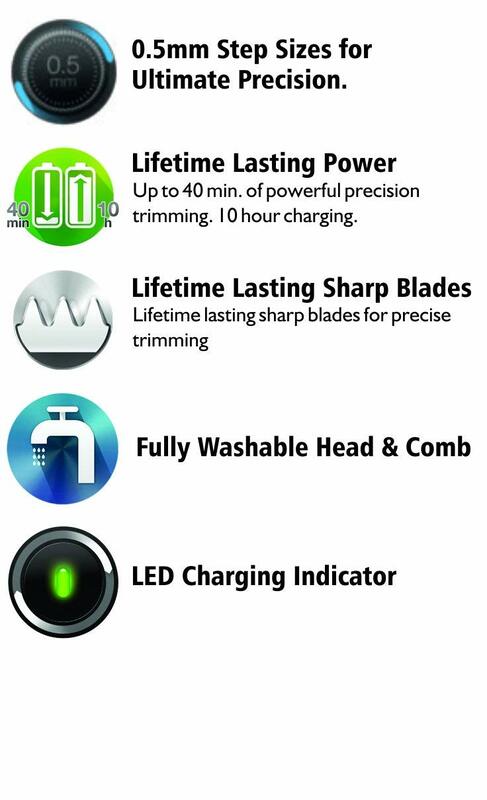 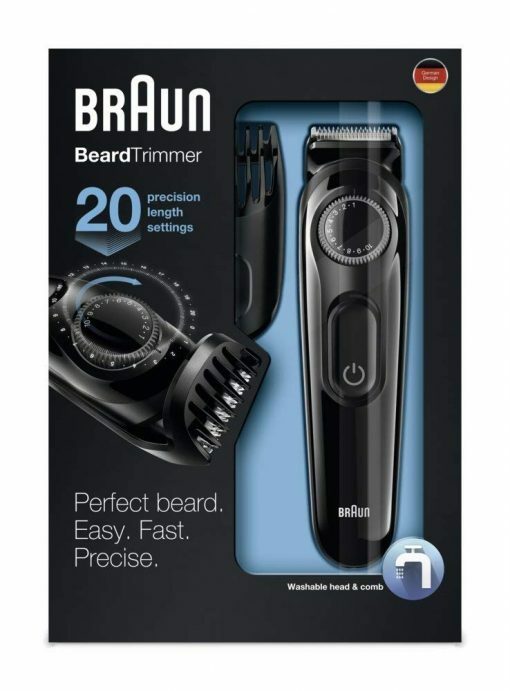 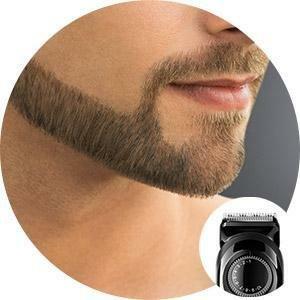 The Braun Beard Trimmer gives you exact length, precise contours and even trim  the fundamentals of any great look. 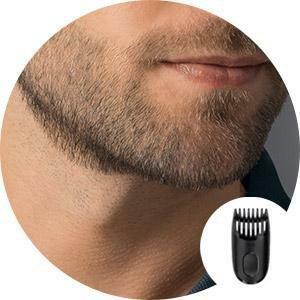 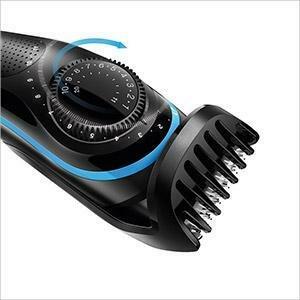 Whether you want to achieve designer stubble, maintain a full beard or trim contours and edges, two detachable trimming combs provide 39 length settings between 1 – 20mm. 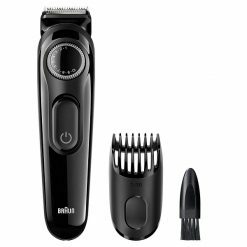 Combined with the Precision Dial with 0.5mm steps, the Braun Beard Trimmer gives you the ultimate control and precision.